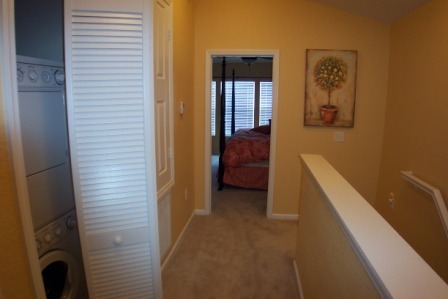 This hallway connects the master and second upstairs bedrooms. 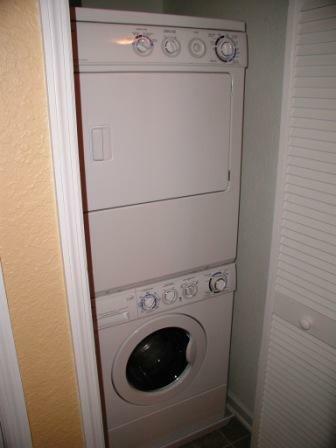 It also houses a small closet which contains the washer dryer. 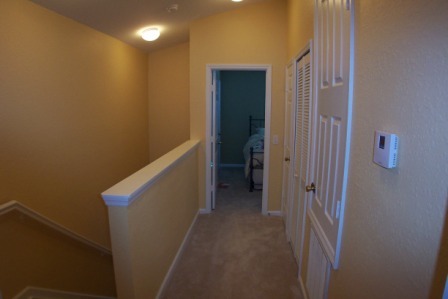 Please note that laundry detergent is not provided with the unit, you will need to pick some up from the grocery store.